Find Issue #156, (Fall 2012) – “Ecovillages” of Communities Magazine here! Innovative ecovillagers turn challenges into opportunities. 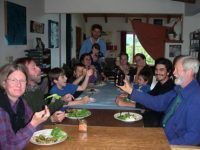 Aspiring communitarians rally support and navigate the legal hoops to establish an ecovillage in Bloomington, Indiana. 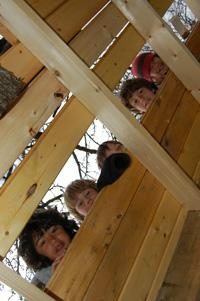 In Ithaca, New York, a pioneering project continues to break new ground in ecological design, education, and community. 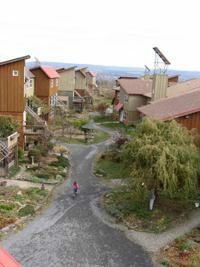 The Yarrow Ecovillage uses the cohousing model to create ecological buildings that meet their occupants’ needs. 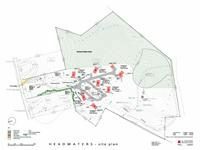 Water supply, human waste treatment, zoning regulations, legal structure, homeownership models, and other core technical issues are essential in ecovillage planning. For the health of our species and the planet, we need ecovillages.